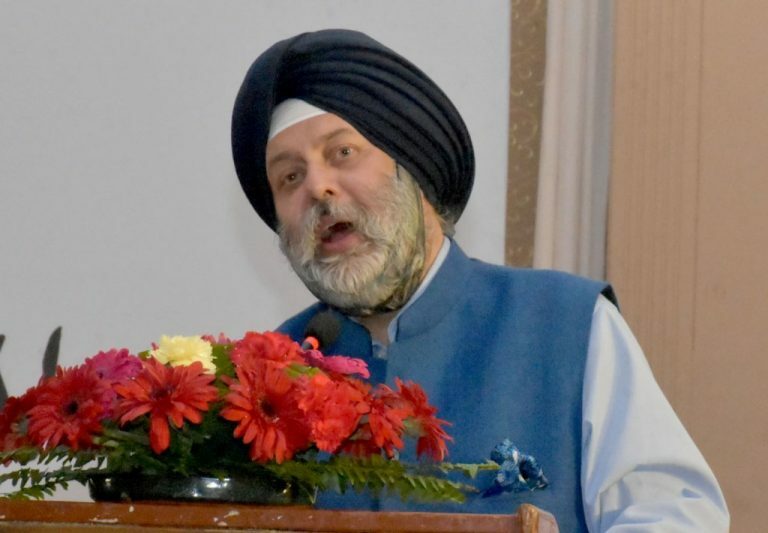 KATHMANDU, March 20: Ambassador of India to Nepal Manjeev Singh Puri has denied the reports that he held secret meeting with former King Gyanendra Shah. The Rajdhani Daily on Wednesday reported that Puri and Shah held a secret talk in Janakpur on Saturday. It further said that Puri and Shah, during their 45 minute long conversation, talked about Shah’s forthcoming visit to India. According to Rajhdhani, the cabinet has asked the Ministry of Foreign Affairs for details about the Puri-Shah meeting stating that ambassadors needed permission from Ministry before meeting any high ranking officials. Talking briefly to Reporters’ Club Nepal President Rishi Dhamala, Ambassador Puri refused the reports adding that he has never seen or met the ex-King face to face. “I have never seen or met the ex-King Shah face to face during my two years stay in Nepal. I have not held any meeting with Shah in Janakpur or anywhere,” he clarified. Shah had reached in Janakpurdham, headquarter of Dhanusha district for a three-day pilgrimage on March 14. A mass of people loyal to monarchy had welcomed Shah changing slogans for reinstatement of hindu kingdom, according to reports.